Full steam ahead this week for the exhibition I'm putting on with Mr Kitsch. 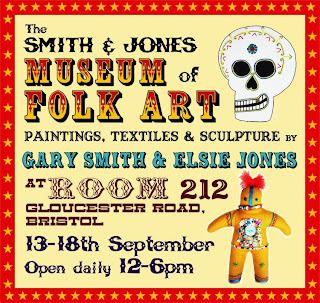 I have just designed some publicity material and set up a blog for The Smith & Jones Museum of Folk Art. I think it gives a good flavour of what we're up to. Mr Kitsch has been busy sending out information to all his many contacts. My part of the exhibition is called 'The Dolls Have Eyes', a name which some of you will recognise. And, as you may also know, I have a lot of trouble with names. 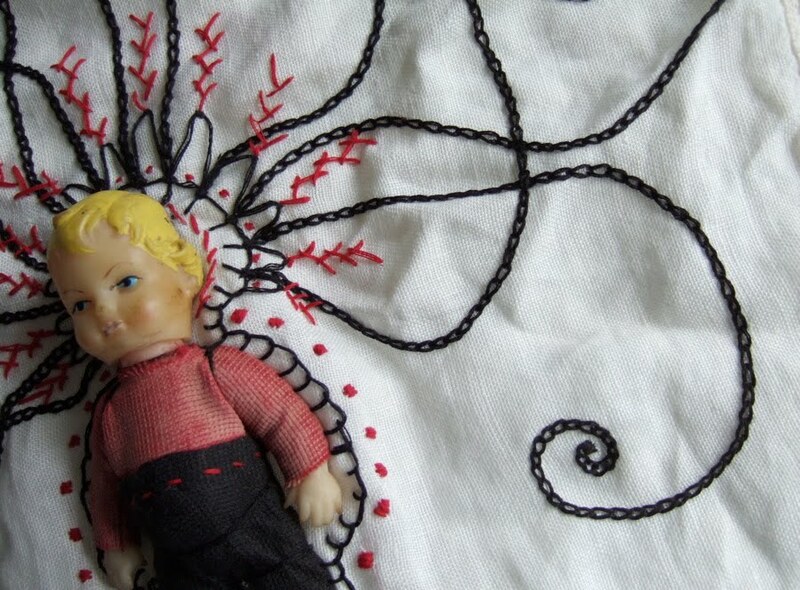 When I was just dreaming about spending more time on making art, one of the things I wanted to do was to make dolls. 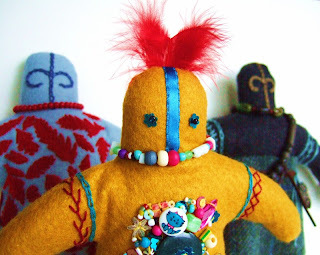 Not dolls as you would know them, but small figures, in a folk art or primitive style. I was very influenced by masks, costumes and sculptures from around the world, like the wonderful collections in the Pitt Rivers Museum. 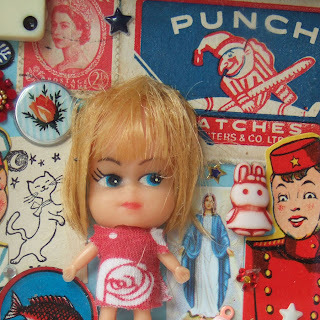 Along the way, I also started to discover (or re-discover) mass-produced vintage dolls, and I wanted to combine all these interests and influences. Looking for a suitable name to cover both the cute and the creepy, I came up with 'The Dolls Have Eyes'. 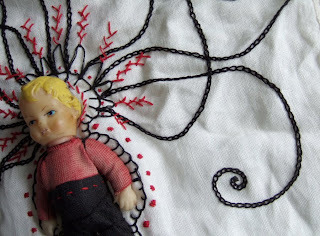 However, whilst 'The Dolls Have Eyes' is suitable for some of my 'art' pieces, it does not cover everything I do. 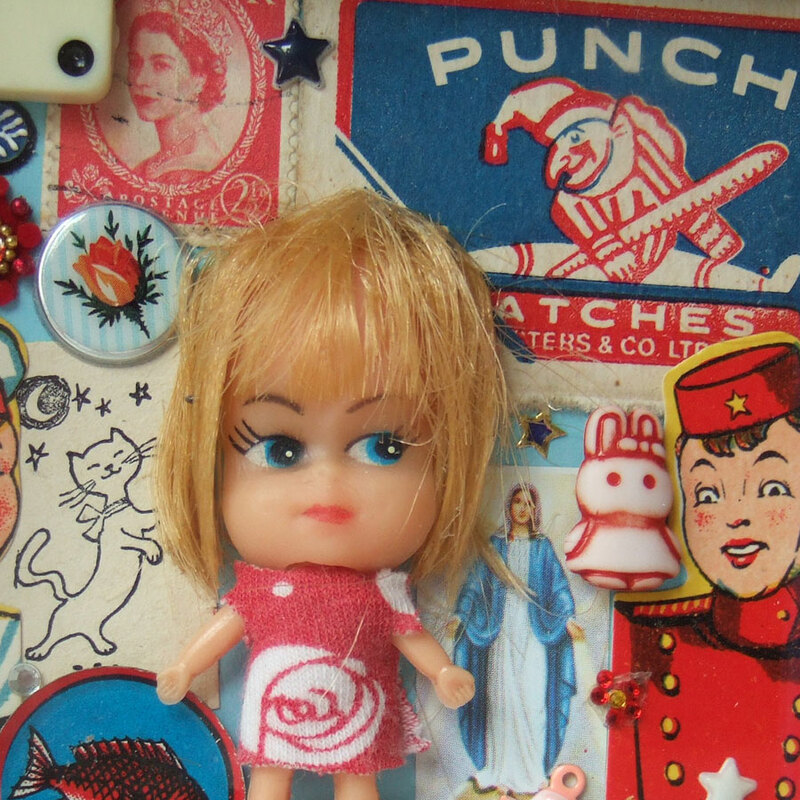 So I became 'Kitsch and Curious' for selling vintage stuff. But I needed to put a name to the things I make, something suitable for stuff that wasn't about dolls OR kitsch (yes, there are a few things!). As some of you will know, I tried 'Nearly Teatime' as a shop name, but it wasn't quite right when I wanted to put my name to a piece of work. I've been reluctant to use my real name, because there is a very good artist with the same name, and although it might benefit me to trade on her success, it could get confusing! After toying with various names and anagrams, I've decided to use the name Elsie (which was my grandmother's name). 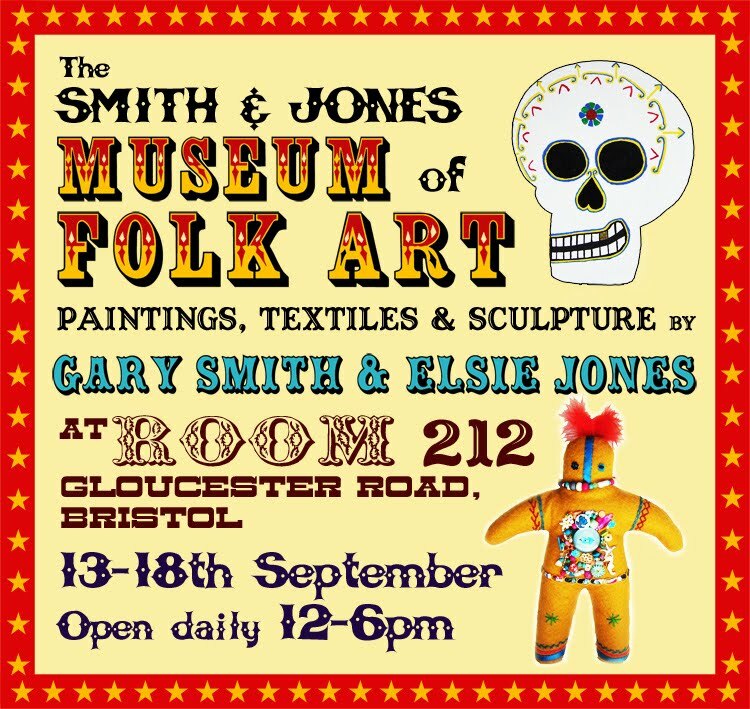 So my new professional persona is Elsie Jones, and as you can see I'm using it for this exhibition. I think that sounds like a jolly good idea......names are important!! I love the name! And I think that it will only bring you good luck to borrow a name from your grandmother.